An early painting of Nye Bevan, produced in 1945. The building in the background may be Park Hospital in Trafford , Manchester; the first NHS hospital officially opened by Bevan in 1948. 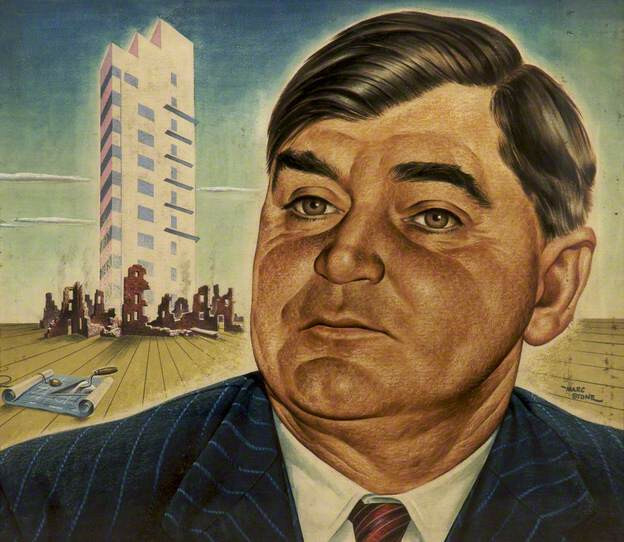 But it may also represent Bevan's work on housing reform. The trowel in the background, as such, may represent the laying of new foundations for the hospital, for housing, or as a wider symbol of the new foundations of the NHS and the Welfare State itself.